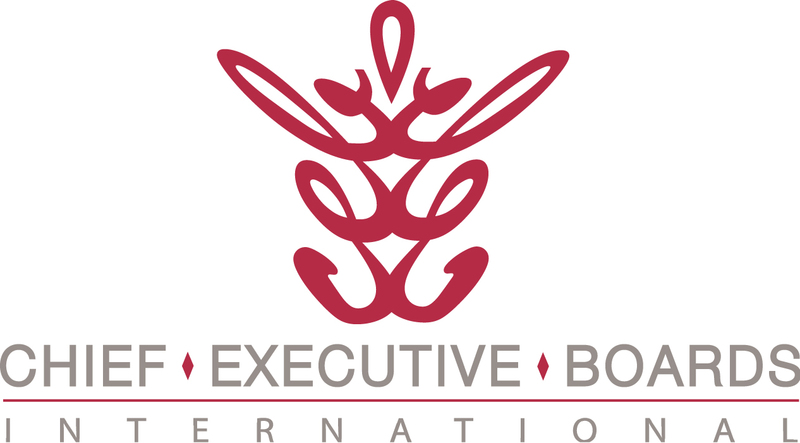 Chief Executive Boards Blog: 3 Wealth Creation Systems -- Which One are You Betting on? 3 Wealth Creation Systems -- Which One are You Betting on? About 2 paragraphs into this article, you may wonder, "where's he going with this?" Stick with me -- there really is a meaningful point here. 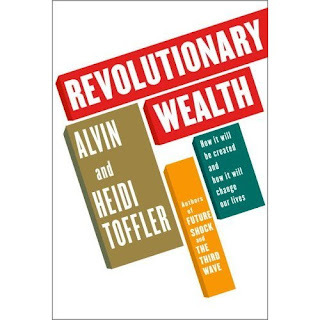 In their book Revolutionary Wealth, Alvin and Heidi Toffler asserted that there have been only three basic systems of wealth creation since the dawn of mankind -- agriculture, industrial production and knowledge. I recently experienced a 40-year reunion of my high school class in a small farm town in rural Kansas. The population when I lived there was 1400, and has now declined to about 900. I was awestruck by the decline in business activity and infrastructure. Main Street is deserted on Saturday -- there were no cars parked on either side of a full city block in the central business district. The town used to be served by two rail lines, one on either end. One set of those tracks is completely gone, and both former stations are vacant lots. All three farm implement dealers --each of whose owners had kids in my class-- are out of business. The bowling alley is closed. There's only one small grocery store (used to be three). There isn't a restaurant open for breakfast. The former cattle auction complex is a vacant lot. And, finally, only 16 HS seniors graduated in 2009, only two of whom are headed to a 4-year college. This is for a consolidated high school serving half a county! 40 years before, the same high school graduated 44 seniors, with at least 20 continuing on to 4-year degrees. This "brain drain" fortells an under-educated future population -- something Kansas has never before dealt with. Relating this to my brother last night, he asked "Why is it that the opportunities, earning power and standards of living appear to be higher for people leaving these small communities and moving to cities?" A very insightful question, I thought. Land -- Required in massive amounts by agriculture. An acre (44,000 square feet) of land will produce about 40 bushels of wheat at a price of about $7/bushel -- $280 of annual output per acre. Imagine the productive capacity of 44,000 square feet of manufacturing, or 44,000 square feet of office space housing software developers. Or even 44,000 feet of warehouse space for a distributor. No contest -- land used for almost anything else produces thousands, perhaps millions of times the economic return per acre of agriculture. Much higher "leverage" for most any alternative use of land. Labor -- You can't grow more wheat by throwing more labor at an acre. You generally can, however, increase the density of people in a plant, an office or a warehouse and increase output. In industrial or knowledge-based models, you leverage manpower by buying hours from employees and selling them for more than you pay for them. Easy to see in a service business -- In my IT services business, I used to buy hours for about $40 (payroll) from employees and sell them for about $125 (billing rate) to clients. Not a bad model. In manufacturing, the hourly cost is built into the manufacturing cost, which is supposed to be less than your selling price. And that's scalable -- if you can sell more, you can hire more and make more. This is leverage of labor -- not a choice in agriculture. Capital -- Generally fixed assets, such as machinery and buildings. In manufacturing, you buy a machine that's capable of producing widgets in quantities far beyond the "per-unit" cost of the machinery (considering capital cost, operation, maintenance, depreciation, etc.) Or you expand a building and fill it with lots more such machines. In the farming model, most of the leverage over the past 100 years has been in machinery (replacing labor) -- massive harvesting combines allow one person to harvest all the wheat on a section of land in a few days. Add a couple of truck drivers and you have a harvesting crew. With the exception of irrigation (not so practical on a wheat farm), you can't produce more wheat per acre by throwing more machinery at it -- thus, leverage of machinery is not a choice in agriculture. Then, there's leverage of financial capital. You buy (borrow or invest) money at a cost (interest rate) far below the productive value of the money. With the exception of irrigation, you can't invest more money in an acre of land and produce more wheat -- thus, there's even limited leverage of money in agriculture. In fact, it's arguable that if you didn't inherit the land -- if you actually had to borrow money at the historical average prime rate of about 8%, you couldn't make money in wheat farming at all. So, in answer to my brother's question, I'd say that agriculture, which is roughly 10,000 years old, has reached its limits as a wealth producing system, and has been eclipsed by both industrial production and knowledge work as systems far more effective in leveraging the traditional factors of production -- land, labor and capital. Unfortunately, those economic systems also argue for higher-density worker populations -- cities. Thus it follows that people have been leaving and will continue to leave communities dependent upon agriculture as an economic system and migrate to communities able to leverage their "labor" far more highly. This essay is admittedly limited to economic analysis, and completely ignores quality of life factors. Having grown up in a farm community, I can vouch for the fact that there isn't a much more comfortable, safe and relaxed place to live, work and raise kids. Those things have a value to many people, and are the intangibles that keep the still-needed people (although in smaller numbers) living and working in the small US communities that produce most of the world's food supply. Toffler predicts that industrial production will be next to decline in importance as the third system of wealth creation, knowledge, asserts its intrinsic advantages. So, are you betting on industrial production as your wealth-producing system? It has some limitations of its own, although not as pronounced as those limiting agriculture. Here's another chapter, comparing and contrasting the leverage of industrial production with that of knowledge. If you've come to some realizations about the basic wealth-producing potential of your own business model, please click "Comments" below and share those ideas with others.